Wow! 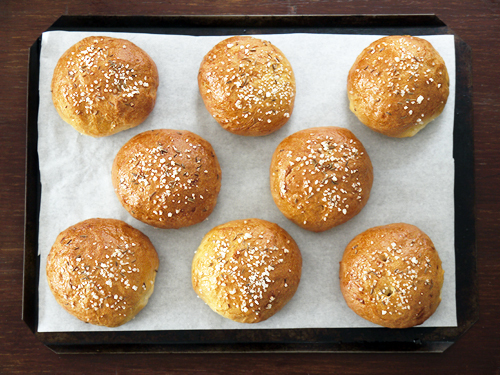 Never had a Bath Bun, but I love all sorts of brioches. They look wonderful and I love the history on them! Great post!! Thanks Christina. 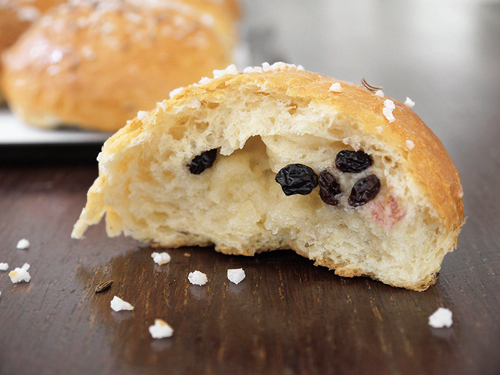 You’ve hit it on the head – it’s an enriched brioche with some jazzy bits! Hi Janet – you’re right, they’re not that common. 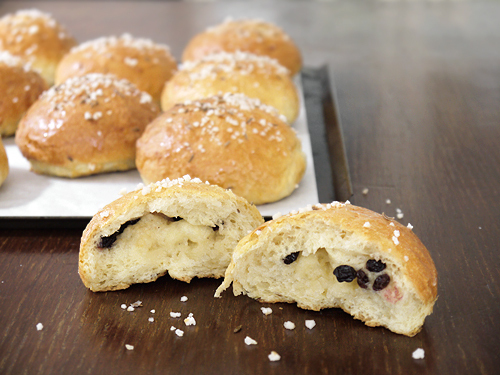 I think most people that have heard of Bath Buns think of something more like a rock bun anyway. The doctor’s predicament also becomes all the more obvious when you realise that the people who were eating these buns were society men and women, who were already eating rather a rich diet. Chuck a load of butter in there and the results seem rather obvious!!! Bath Bun? Interesting! The history part is with great info for us to understand the background of them. Is it a UK specialty? 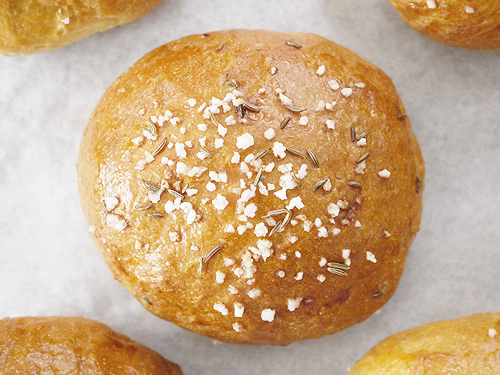 I’m really tempted to try these because I love caraway. But I live on my own – there’s no way I can eat 12! Do you think the recipe would work if I reduced the amounts in proportion? Or would they keep for a few days or freeze? 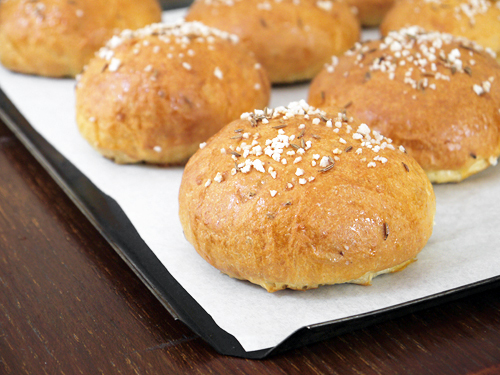 Hi Clare – I’m sure you could make a smaller version of these buns using half the amount. As there are no nasties in there, they don’t keep amazingly well – they’re still good the next day, but two days later they will be a little dry. One idea might be to make as a loaf – you can slice, freeze and then toast as and when you want to nibble on it. Reblogged this on carmencheung97's Blog.